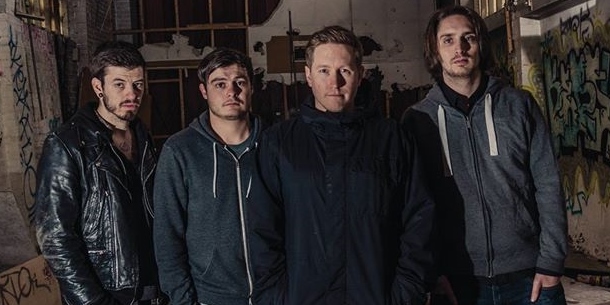 utoXator is a rock/pop-punk/metal 4 piece band from Leeds, England. I only discovered them a couple of months ago. I watched their official music video for “The Seas Will Rise” on YouTube without knowing anything about the band. I don’t remember the exact date, but I can recall it was quite late at night and I felt like that they made my day! Though, the video has a reasonably good, or I should say a very good number of views, so maybe I was the only one left behind. The song begins with catchy guitar tunes with quite exposed drums. Appealing parts of this track are probably the melody and vocals; though the bass takes a fair amount of responsibility to complete the sound. The music is driven by the bass particularly towards the end, with a sense of heavier edginess. utoXator create the sound which is original and fresh. I must say that the production team for this video, Sorted Media Productions Ltd and Ellie Risdon did a superb job. It was uploaded more than two and a half years ago, but the concept still works. After watching the video, it was a time for me to dig to find more music from utoXator. utoXator released a double A side CD “Paint On Walls” not so long before the music video for “The Seas Will Rise”. Currently the CD is available on their Merch site. A great thing is that you can listen to the songs on SoundCloud. Here, you can watch the video for their acoustic session. Their new EP and a tour are planed for early 2015. I am very hopeful for what they are going to bring us soon. Pingback: Most Exciting Songs – January 2015 | music - does it matter to you?